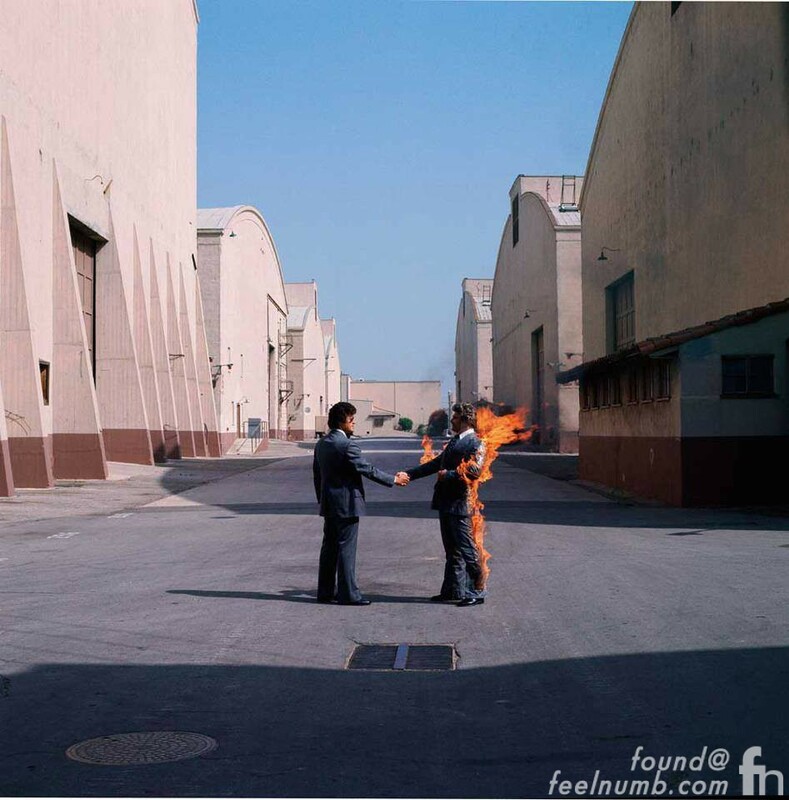 Pink Floyd released their ninth studio album “Wish You Were Here” on September 12, 1975. 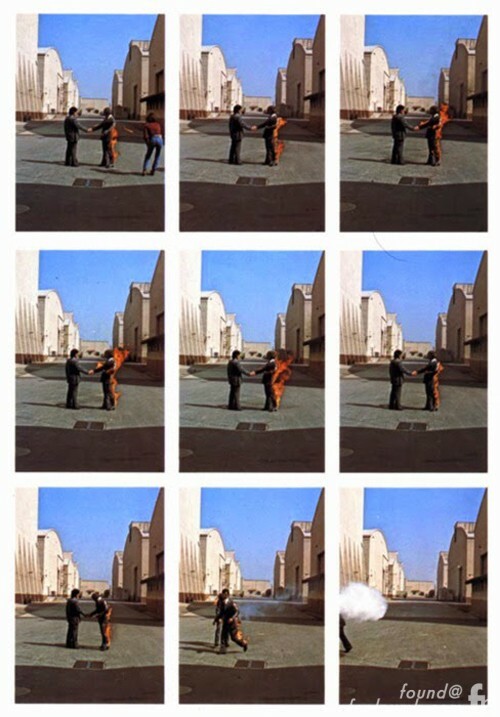 The photo on the cover of the album was taken by Storm Thorgerson who had accompanied the band on their 1974 tour, and had given serious thought to the meaning of the albums lyrics. 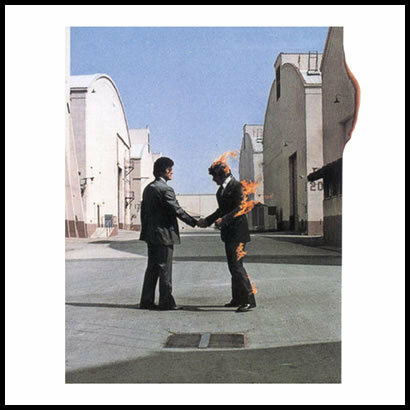 He eventually decided that the songs were in general concerned with “unfulfilled presence.” The concept behind the songs “Welcome to the Machine” and “Have a Cigar” suggested the use of a handshake (an often empty gesture). 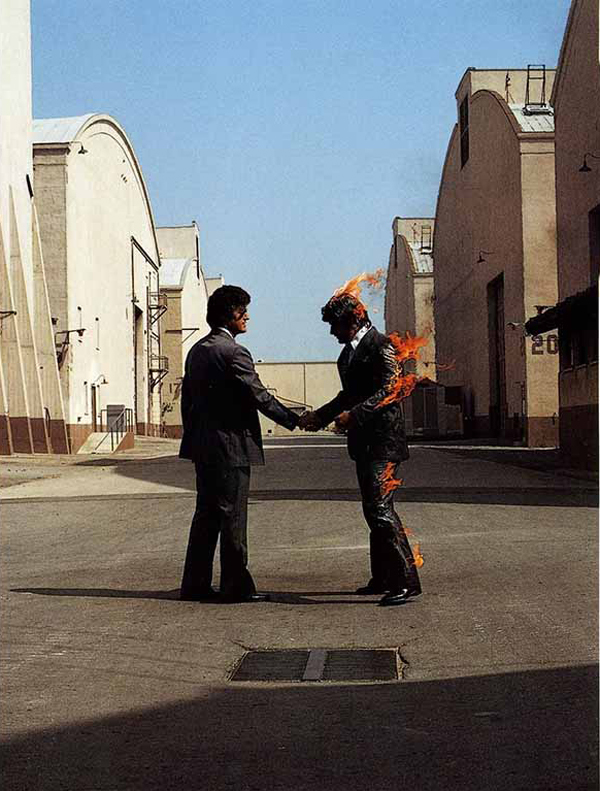 The cover photo was inspired by the idea that people tend to conceal their true feelings, for fear of “getting burned”, and thus two businessmen were pictured shaking hands, one man on fire. “Getting burned” was also a common phrase in the music industry, used often by artists denied royalty payments. 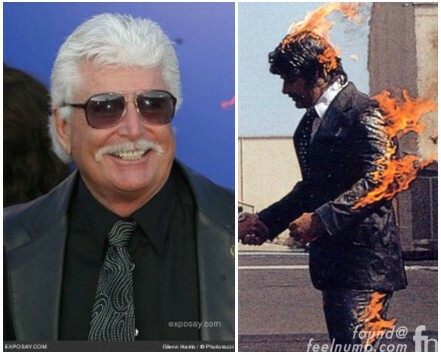 Two stuntmen were used Ronnie Rondell (on fire) and Danny Rogers. Rondell was dressed in a fire-retardant suit covered by a business suit. His head was protected by a hood, underneath a wig. Initially the wind was blowing in the wrong direction, and the flames were forced into Rondell’s face, burning his mustache. 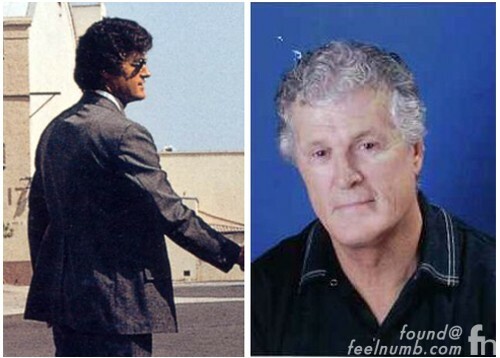 The two stuntmen changed positions, and the image was later reversed. 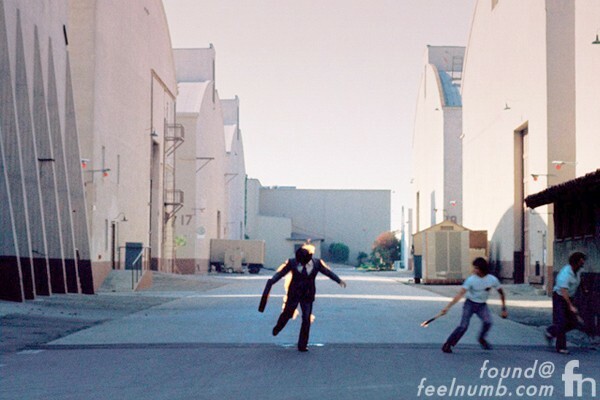 Here’s the bigger photo of the one used on album cover. Check out these amazing outtake photos of Rondell on fire!!! 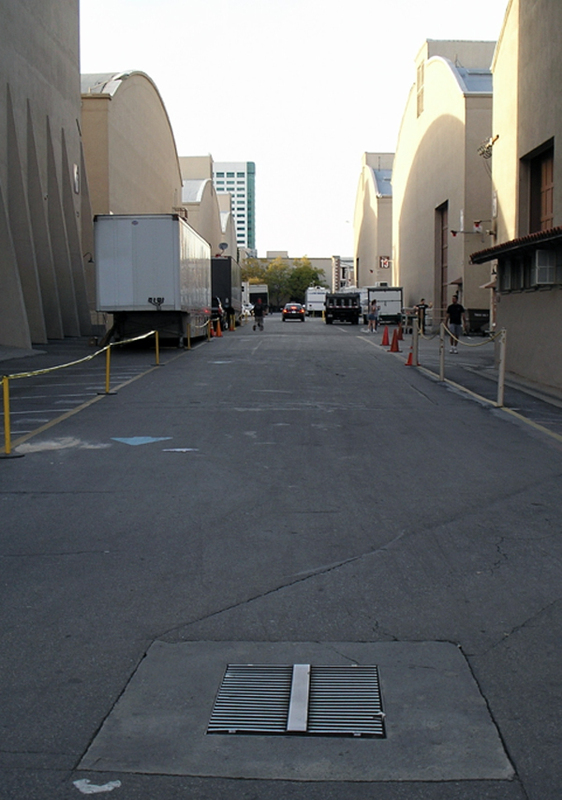 The photograph was taken at the Warner Bros. studios lot in Burbank, California. 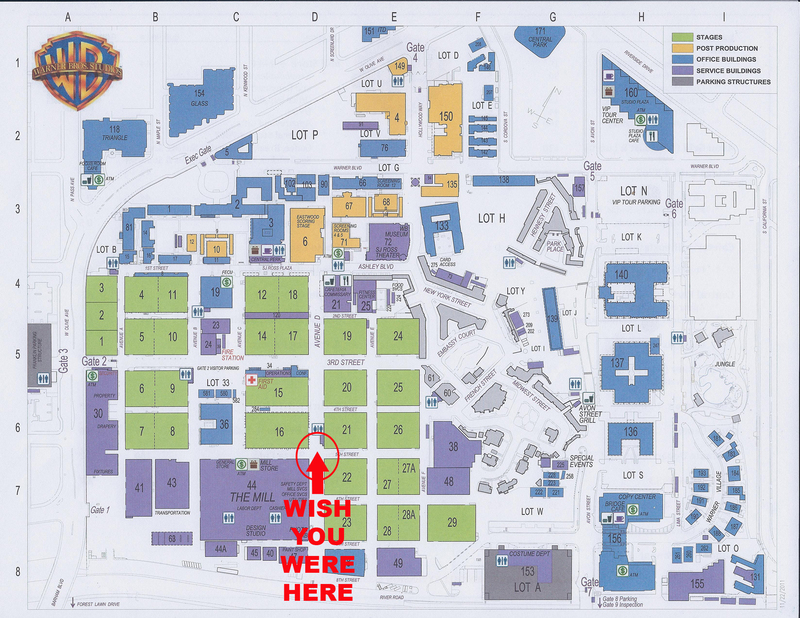 Here’s a map of Warner Bros. lot with the location of the photo highlighted. 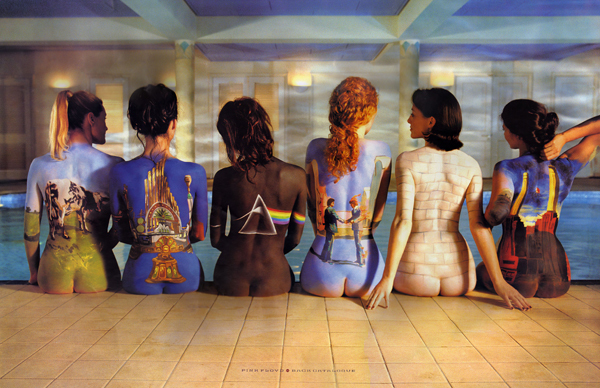 feelnumb.com EXCLUSIVE: We found the models used on the famous Pink Floyd back catalogue album cover.